Pretty setting, quiet park. We had raw sewage backing out of the hookups. One drain that we were not hooked up to was about 5 feet out our front door. When we reported it, the staff needed no explanation - they said it happens all the time - every couple of days. They went to fix it right away. The next day three sites up hill from us became occupied and whenever they used their gray of black water - out it came into our site and eventually seeping downhill towards the river. (Texas Game and Fish and the EPA would be interested in how they handle their sewage.) We could not sit outside and enjoy our view or our firepit. Too bad. The owner was in denial. Although several staff members and other campers said this is a regular occurrence - he refused to believe me. We moved along. They did a partial refund. A great camp ground and location. Getting to the camp ground is a bit of an adventure but worth it. It is located very out of the way on some narrow back roads, and a bridge you have to cross is single lane right now as they widen it. 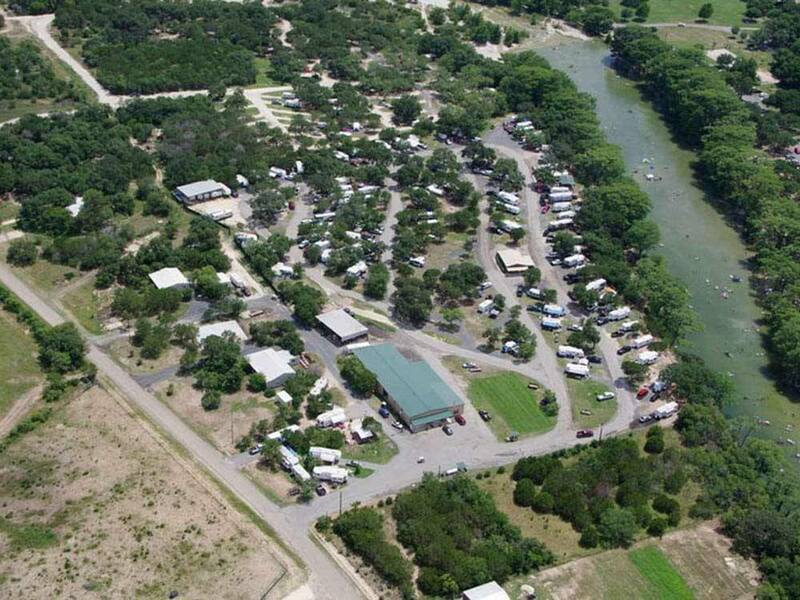 It is literally right on the river, and on the other side is Garner state park. Overall a very quiet park in the offseason. I have not stayed there in the summer yet. Everyone was very friendly that worked there. Right now a lot of snowbirds staying and they can tend to be a little stand offish to the weekend campers. :) Camp sites are clean although ours had all the hook up on the wrong side of the camper for some reason. Not a huge deal but a bit of a pain. the Sites could be a little more level but easily fixed with a little extra time during setup. You have direct access to the river which is really nice. The on premise connivence store is awesome and well stocked. 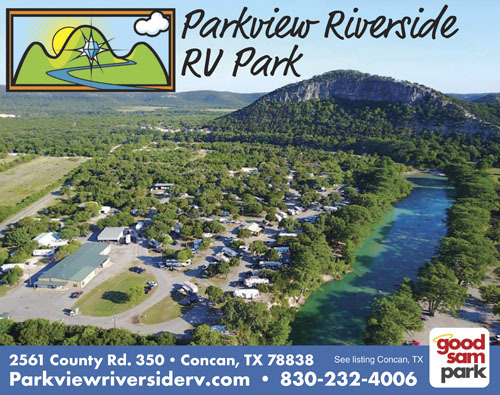 Easy drive to Garner or the couple of restaurants that are around there. We will definitely be back.